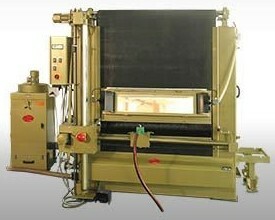 Futura – Automatic cabinet featuring a self-contained roller curtain. Automation is provided by a single field, Mitsubishi PLC, sensor and measuring suite. 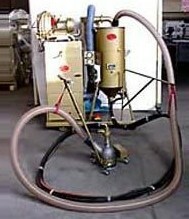 Manual adjustment and positioning are provided by an ergonomic joystick control with limiting sensors. Counter balanced, brush-sealed curtain, with toughened viewing window that runs the width of the blasting aperture, illuminated by two LED lateral lamps. Jobs are easily inserted via large door and telescopic roller-track system. Safety systems include fully automatic and manual emergency shut-off. Recommended Abrasive – 40/60 Aluminium Oxide or 35/70 Sintered Aluminium Oxide. © Copyright 2019. 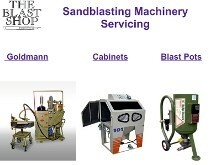 The Blast Shop. All Rights Reserved.